The town of Watchet is over 1000 years old and was the subject of Viking raids for hundreds of years during Saxon times. The harbour and docks have always been an important part of Watchet's existence. It was a vital port for the transportation of goods and minerals, especially iron ore from the nearby Brendon Hills, which was shipped across the Bristol Channel to Newport, destined for the ironworks at Ebbw Vale. Rags imported from France were used in paper making at Watchet Paper Mill. Both of these industries burgeoned during the nineteenth century. The railway line to Taunton was opened around the same time. Welsh coal was imported for both local use and onward shipping to British, Irish and Continental ports. From Ireland boats would return with grain to supply Stoate's Flour Mill in the town. Hundreds of men were employed at the harbour, as mariners, dockworkers, sailmakers, shipwrights and ropemakers. A number also earned their living as fishermen. Their double-ended boats were known locally as 'flatties' or 'flatners'. Shaped like a dory and almost flat-bottomed, they had proved to be the most suitable type of craft for the conditions on the North Somerset coast and the nearby River Parrett. Sadly Watchet docks are no longer operational having been closed in January 1993, and the harbour is now solely used for pleasure craft and deep-sea fishing. 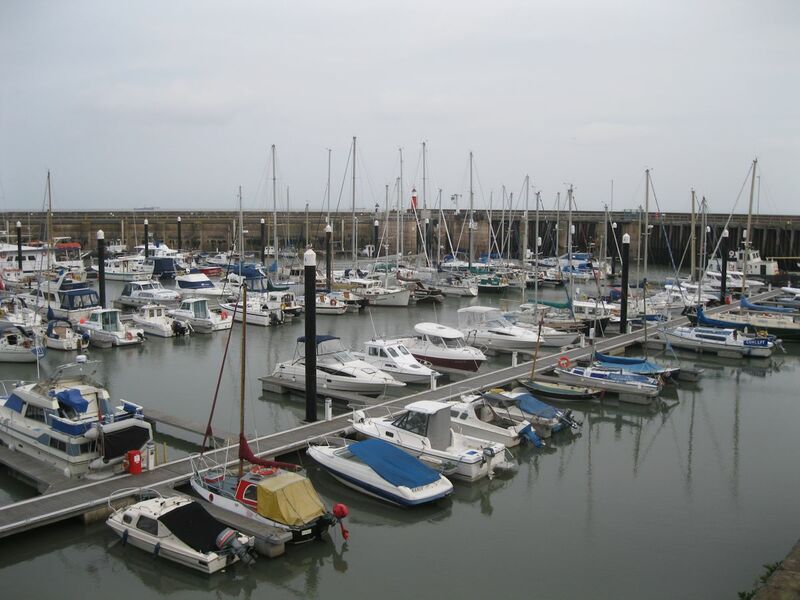 For information about boat-mooring, contact the Watchet Boat Owners' Association.